If you are Oppo R11s user and want to connect your device to a computer or flashing firmware on your device. Then you need to download the USB Flash Drivers. Here, you will find the officialy released drivers for your Oppo R11s. Oppo R11s was released in 2017, November with AMOLED capacitive touchscreen. The version of software installed on it is Android 7.1.1 (Nougat). 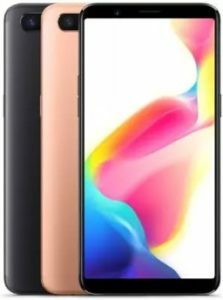 If you are camera addicted, then you need to grab Oppo R11s smartphone as it include Dual 16MP + 20MP Primary camera with LED flash including features and 20MP secondary camera for selfies. The internal storage of the phone include 64 GB and also support micro-SD card upto 256 GB. It is powered by octa-core Snapdragon 660 processor along with 4 GB RAM to support the better performance. The connectivity medium include WLAN, Bluetooth, GPS and USB. The phone is powered by Li-Po 3200 mAh battery to support the stability and its large display of 6.01 inches with a resolution of 1080×2160 protected by corning gorilla glass 5 technology. The price of Oppo R11s in India starts from 30,990.